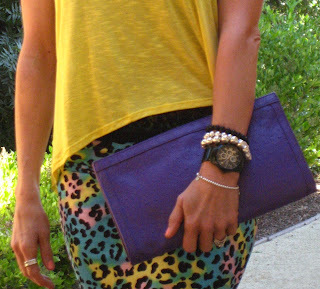 Summertime brings out all of the bright, fun and lively prints! I wake up each day energized with enthusiasm for fun fashions. Now if only I could wear them to work... Boo to black, white and gray! So, here I have decided to make this is my outlet for colorful fashion!! Happy Weekend and Cheers to bright fashions!! !